Letter to the Times from Robert Goodwill MP, Parliamentary Under Secretary of State for Transport, following an article on the 30th October. I would like to clarify some important points following your article on the 30th October regarding the Government’s plans for reform of the Highways Agency (‘Contractors on red alert over arrival of Network Road’). Your article suggests that the Government is taking ‘the first steps towards the semi-privatisation of the Highways Agency’. As we set out in our consultation document, we have no plans to privatise the Agency, and no shares in the new company would be sold or traded to the public – unlike Royal Mail or BT. 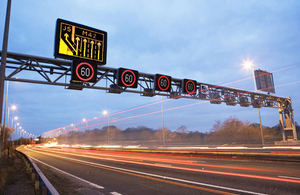 This is the most radical efficiency change to the management of our highways in nearly fifty years, generating billions of pounds of savings and providing a better service for motorists.